The drum roll please. ’365 Things to do in Columbus Ohio’ proudly presents an Entertainment Book to Alyssa Griffith Griffin. Alyssa is the winner of the drawing outlined in ” That’s Entertainment: 365 Things to do in Columbus, Ohio“ The drawing was for a 2013 Entertainment Book. 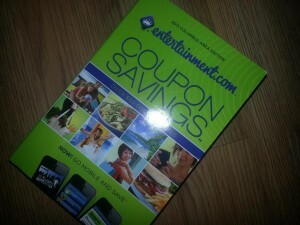 The Entertainment Book has over $50,000 in discounts (the cover tells me so) Columbus, Ohio edition of course. Each comment or post added to the ’365 Things to do in Columbus Ohio’ Facebook page (link in the side bar here on ColumbusBestBlog.com) got an individual an entry to the drawing. Thanks to Kelly, Kristin, Nicole, Peggy, Jocelyn, Teressa, Julie, Liz, Tiffany, Kelly, Sherry, Chris, Ender, etc. All the names of all those who commented (and added something to the page were included in the drawing. Only one person added ‘a thing to do’ to ’365 Things to do in Columbus, Ohio’ Pin Happy Girls… name (?) or alias anyway was in the drawing with Kelly, Kristin, Nicole, Peggy, Jocelyn, Teressa, Julie, Liz, Kelly, Sherry, Chris, Ender, etc. Pin Happy Girl, added taking photos of her children with the statues along the Scioto Mile in downtown Columbus as an entry. Another person added a comment on the ’365 Things to do in Columbus Ohio’ timeline… I am not that good at Facebook, I do not really get what that means but it got her an entry in the drawing. I should look at the ’365 Things to do in Columbus Ohio’ timeline for the comment and see how it is on the timeline but not on a comment. Perhaps it is on a comment further back on the timeline and the Facebook notification is just different because it is an older post. All the names (and aliases) were written on a little yellow sticky note and one of my co-workers / boss (at the real estate office) drew Alyssa’s name. He had no idea what was going on, he thought he’d won Alyssa. That event at Earth Fare is Saturday, January 19, 2013. 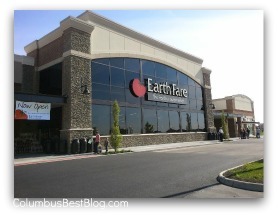 Earth Fare is located at1440 Gemini Place, Columbus, Ohio 43240. That is the Polaris area, in southern Delaware County. I still want to go to the Earth Fare event. I want to win the bike. I have a bike I do not ride, but I want to win the bike. Maybe I would ride a new bike. I am just that way. I would like to do another giveaway with the Columbus Earth Fare. Monday is Martin Luther King Jr. Day. There are events in many central Ohio communities to observe the holiday and honor Dr. King If I see any added on Facebook I will share those with ’365 Things to do in Columbus Ohio.’ You can too. See events, share them. Please. Monday schools are closed in honor of Martin Luther King Jr. and the Columbus Zoo and Aquarium are FREE. That’s a thing to do in Columbus Ohio.